With so much focus currently placed on UK pensions, especially those of the expat retiree, there has never been a better time to learn about the QROPS pension transfer. The QROPS is currently growing in popularity, heavily by the year, and figures suggest that the number of people transferring into a QROPS will continue to grow. Transferring into a QROPS will offer many benefits to the UK expat. Figures have shown that QROPS holders save thousands of pound in taxes that could otherwise be claimed by HMRC. In total it is estimated that around 7,300 UK pensions have been moved into a QROPS since the scheme’s inception, further reports suggest that this figure will rise immensely as QROPS awareness increases. It is also important to know that transferring an existing UK pension into a QROPS offers much more than just tax savings. Here are some of the other benefits that can come with a QROPS. QROPS allow the holder a great deal of flexibility with regards to investing in different financial products. As opposed to with a UK pension, you will have the choice of a wide range of commodities, stock markets and assets in which to invest the money you have spent a lifetime amassing. UK pension holders find that they are faced with considerable restrictions when it comes to the investing their own money. Another important advantage of transferring into a QROPS is the ability to utilise different currencies. With a QROPS you are not tied to sterling, and QROPS benefits are paid out in gross in the chosen currency of the client. Such practices eliminate issues that can arise with exchange rate problems. A QROPS enables the holder to gain considerable tax advantages. The main reason behind this is that the QROPS is not based in the UK. QROPS are traditionally based in countries that have low tax legislations, however the QROPS holder is not tied to this country, you can reside anywhere in the world (except the UK) and still keep the QROPS in its jurisdiction. Contrary to holders of a UK pension, those with a QROPS are under no obligation to buy an annuity. The options that come with regards to your fund after you die are another tremendously attractive facet of the QROPS. A QROPS continues to exist after the event of your passing, and unlike a UK pension you can avoid excessive Inheritance Tax charges. In fact, in most cases you can transfer the entire remaining pot on to your named beneficiaries. 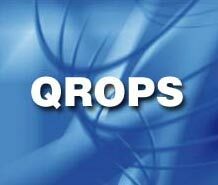 The QROPS is also free from lifetime allowances. As you can see there are many benefits involved with transferring your UK pension offshore.